Succulent Fruit on an Ornamental TreeBelle of Georgia Peach Tree, Prunus persica, is a fruit-bearing with decorative features. 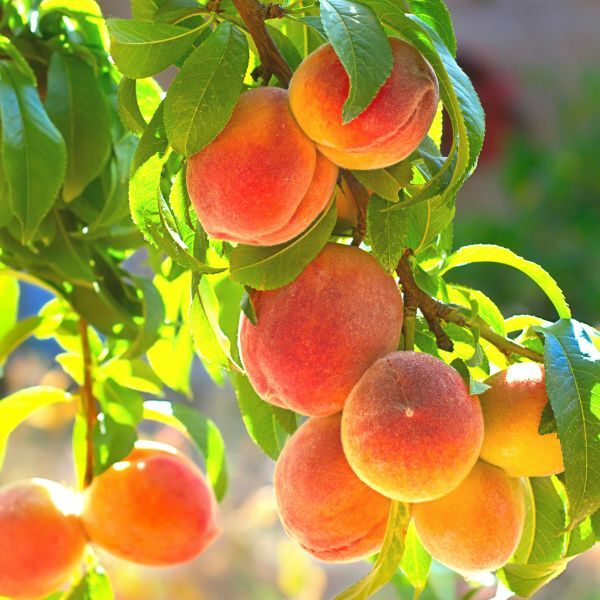 Plant one near a front entrance to ensure a beautiful spring display and bountiful fall harvest of delicious fruit.Your Belle of Georgia Peach Trees is more than just a fruit-producing tree. This tree proves that edibles can be both ornamental and delicious! Belle of Georgia produces large, firm fruit with blushed red skins and yellow-cream highlights. The fruit is sweet and succulent, perfect for eating right off the tree, baking or canned for winter use.Belle of Georgia Peach Tree is particularly noted for its abundance of pink, springtime blossoms which are sure to transform your yard into a spectacular welcome for the coming summer. With their enchanting color and delicate scent, the flowers are a strong draw to butterflies and other pollinators for your yard. The summer foliage fills out the tree nicely, making for a delightful shade tree that offers relief for the heat of summer. There are few things as enjoyable as lying under your very own peach tree and gazing at the developing fruit as it dangles amid the branches. The late August harvest ensures you time for enjoying your peaches for their ornamental value long before you even harvest them to partake of their outstanding quality and delicious flavor.Belle of Georgia Peach Trees reach up to 25 feet in height with a spread of 20 feet. It’s a hardy tree, disease resistant and self pollinating. This is a tree that will provide you with a large harvest with very little care needed on your part. If you love peaches, this is the tree for you! * Heavy producer of fruit* Ornamental* Hardy. Sweet, Juicy White GrapefruitThe Oro Blanco Grapefruit is a popular, nearly seedless, grapefruit hybrid. It is thick skinned with white flesh. The fruit is produced from huge fragrant blossoms and large glossy-green foliage. As with many white fruits, the Oro Blanco’s flesh is sweet and lacks any of the typical bitterness of a grapefruit. Oro Blanco is Spanish for “white gold” and is a vigorous, spreading tree with a fantastic tasting grapefruit. Store at room temperature for up to 2 weeks, in the refrigerator for up to a month. Dwarf citrus trees can be successfully grown in containers throughout the United States. Plant it in a large enough pot to allow for a few years of growth, so that you are not repotting every spring. Citrus do not need to be pruned, but you could prune them if they get too big and in the way. * Fragrant Blooms * Nearly Seedless Fruit* Sweet Flavor* Grow them indoors & out . Ball of Green for Small SpacesThe Dwarf Ninebark, Physocarpus opulifolius ‘Nana’, is a native 4′-6′ shrub with an equal spread.This is a dense finely branched shrub and it produces white flowers in the spring. This dense bushy ball of green produces its flowers in late spring. After flowering, seedpods develop that are red and quite ornamental.The small, dark green leaves turn to reddish-brown in the fall.The Dwarf Ninebark adapts well to both dry and wet locations. It is not particular about soil pH levels and does well in urban environments!As with other ninebarks, it has exfoliating bark and with the fruit production, it makes for 4 season interest! The peeling bark especially stands out in the winter.This plant performs best in full sun to part shade. The Dwarf ninebark attracts birds and butterflies!It can be used as a small hedge plant, foundation plant. screen, patio plant, in small spaces, or in rock gardens* White Flowers in Spring* Red Seedpods* Attracts Butterflies and Birds. The Lucida Rose, Rosa virginiana ‘Virginia Rose’, is a shrub rose. In the spring, it comes alive with a multitude of delicate pink flowers with yellow centers. Each dark green leaflet is up to 2.5″ long, turning purplish red in the fall.Lucida Rose is a great plant to use for clearings, shores, and roadsides. It also excels in mixed borders, hedges, and as specimens.Lucida is tolerant of harsh conditions, including salt spray, wind, and poor soil.The rose hips from the Virginia rose are extremely rich in Vitamin C and are completely edible to both humans and animals.They have a pleasantly tart taste and can be used to make jellies or teas.Plant them as a hedge along your house or as a single accent at the edge of patio planting bed. * Fall color*Salt and Harsh Conditions Tolerant*Can Be Used Individually Or As A Hedge. Brilliant Foliage and FruitCompact American Cranberrybush, Viburnum trilobum ‘Alfredo’, is a deciduous shrub with bright green foliage. Plant several for a dense screen or hedge along your property line.Your Compact American Cranberrybush has (just as the name implies), a denser, more compact form…but still provides all the color and charm you’ve come to expect of an American Cranberry. Four-inch clusters of white, lacecap flowers bob above the foliage in spring, a delicate welcome to the new season. Your Cranberry’s serrated, lobed leaves emerge red-hued, but later transition to bright green for summer. They again change as fall approaches, turning to an appealing purple/red for autumn. It’s an assortment of 3-season color on one plant! As if all this wasn’t enough, clusters of red fruit ripen in fall, persisting into winter for even more ornamental interest. The fruit can be used for jellies, jams, chutneys or simply eaten fresh. 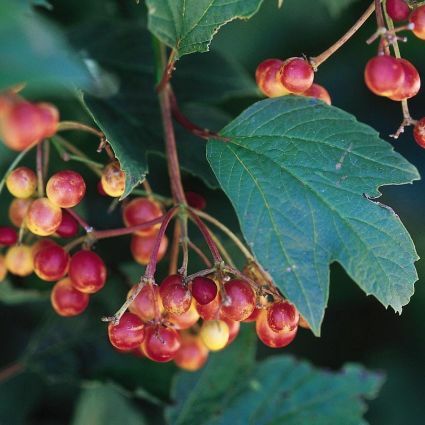 The birds and wildlife also enjoy them throughout the autumn and winter.Compact American Cranberrybush will grow to 6 feet in height with an equal spread. It has a multi-stemmed, upright spreading habit, and fills out right to the ground (so you won’t need to couple it with facer plants). 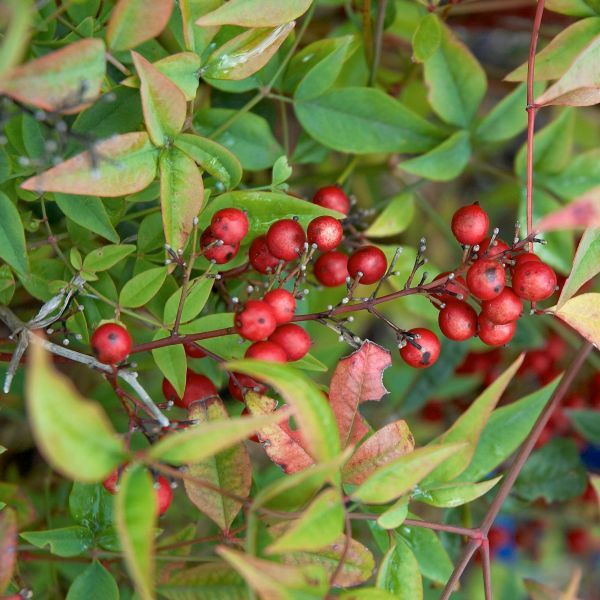 American Cranberrybush is tolerant of soil types and will even thrive in urban pollution. With optimal conditions, it can live up to 40 years. Even though birds and other wildlife will enjoy the dense foliage and fruit of your American Cranberry, more destructive wildlife (such as deer), tend to leave it alone.Amazing flowers, fruit and 3-season foliage color make Compact American Cranberrybush a truly remarkable shrub for the home landscape. Why not bring one to your yard today! * Colorful foliage * Spring flowers and fall color * Edible fruit * Wildlife interest. Dwarf Hydrangea with Four-Season InterestPee Wee is a variety of Hydrangea with a small stature and exceptional decorative appeal. These would make a beautiful shrub border along your home, or use a few as foundation plantings.Your Pee Wee is a cultivar of Oakleaf Hydrangea that is most valued for its smaller size. Every part of it is smaller, from its leaves and flowers to its overall dimensions. Its compact habit provides you with the opportunity to fit a few more into your landscape where other Hydrangeas might be oppressive. The deeply-lobed, 5-inch, dark green leaves turn a dramatic bronze/red in the fall. You’ll love how their resemblance to oak tree leaves adds even more decorative appeal. Panicles of white flowers appear in early summer. The majestic blooms have the delightful habit of gently transitioning from their pristine white, to pink in later summer and then eventually to brown. The tawny panicles persist into winter, creating a lovely compliment to the cinnamon hues of the exfoliated bark. Pee Wee is a deciduous shrub that has an upright habit and rounded form with no serious disease or pest problems. It’s generally carefree. Interesting and colorful in every season, Pee Wee is a superb choice for your yard this year. * Summer flowers* Attractive foliage* Fall color* Winter interest. Double the Petals, Double the FragranceIf you are lucky enough to live in a place where gardenias grow in your garden, then you absolutely MUST plant the newest gardenia on the market – Double Mint (Gardenia jasminoides ‘Double Mint’).Why? Because Double mint has double the petals, double the flowers, double the bloom time and double that intoxicating fragrance you grow gardenias for in the first place. The double flowers are a whopping 2 inches across on strong stems– perfect for small bouquets and buttonholes should you want to take the fragrance with you. The flowers bloom profusely in the spring and re-bloom again in the summer all the way to fall, longer than many other gardenias.The compact shrub only grows 3’ high and wide, so it doesn’t grow out-of-bounds and is perfect for small space gardens and foundation plantings. The glossy leaves are evergreen and lush year-round.So, what if you don’t live in a place where you can grow these beautiful flowers outdoors? You’ll be happy to know that they will thrive in your favorite container in a sunny window all winter, even while the snow flies outside.This is a remarkably easy plant to grow and it pays you over and over with its breathtaking flowers. Don’t just dream about this beautiful plant and its room-filling perfume – order some today to have a great show in your own home. * First Editions® Plants* Great new evergreen* Amazing fragrance* Easy care. Watanabei Doublefile Viburnum, viburnum plicatum tomentosum ‘Watanabei’, displays elegant white flowers that bloom continuously through the season just above the horizontal tiered branches. The snow-white blooms are breathtaking in spring and, in the South, appear sporadically throughout the growing season. The dark green foliage turns a beautiful red-purple in the fall. Its compact slow growing habit makes it a great accent plant. Watanabei Doublefile can be planted as a specimen plant, massed group, or a shrub border. It grows well in many exposures and soils, but does best in full sun with moderate moisture and well-drained soils. It does require some light shade in more southern areas. It grows 4-6 feet high and as wide. Viburnum are one of the most outstanding group of shrubs for use in the landscape planting because they are hardy and resistant to serious pests..
Great cold-weather blueberryBlueberry plants make a great addition to your home garden, landscape or orchard. They are high in antioxidants and provide many nutritional benefits. St. Cloud blueberries excel with all of these traits and more.With St. Cloud Blueberry, Vaccinium corymbosum ‘St. Cloud’, you can start picking fruit weeks earlier than many other blueberry varieties. This bush covers itself with white flowers in late spring and massive numbers of dark blue berries in early to mid-summer. You will have plenty to eat and plenty to give away!If you can grow azaleas and rhododendrons, then you can grow the St. Cloud Blueberry. They grow in the same types of places and enjoy the same soils. Give them six hours of sun a day and plant another cold weather blueberry (like Polaris) to cross-pollinate and you’ll have mouthwatering berries all season long.These are tall plants – up to 4 feet tall – but they have shallow root systems. This makes them perfect for raised bed planting and large containers. 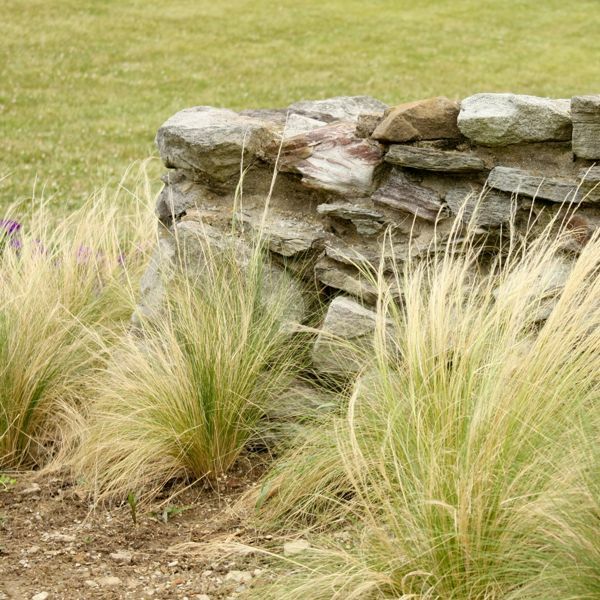 They are beautiful landscape plants and will fit into any border or perennial bed with ease.  In the fall the leaves turn a vibrant red-orange that lights up the landscape.Nature Hills only sells strong, healthy, field-grown plants so you know that you’re getting the best available. Order St. Cloud Blueberry today and enjoy a summer full of fresh fruit! * Hardy plants for northern gardens* Native * Huge yields of juicy fruit. 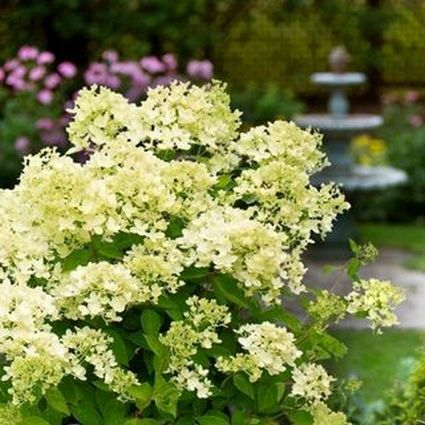 The Perfect Hydrangea for Smaller SpacesThe Bombshell Hydrangea shrub, Hydrangea paniculata “Bombshell”, has a compact habit and is a prolific bloomer. It makes a big “Bombshell” as a garden break through!Abundant white blooms cover the dark green foliage from summer until frost. Bombshell Hydrangea is incredibly well balanced and has more flowers per plant than any other paniculata, a significant improvement!The Bombshell Hydrangea is a low maintenance shrub with a compact habit reaching 2-3 feet tall with a spread of 3-4 feet. It is low maintenance with little to no pruning needed to keep the plant compact and tidy.Bombshell Hydrangeas make lovely cut flowers and is great for dried flowers; also used in borders or containers. It is loved by hummingbirds and butterflies! * More flowers than any other paniculata! * Long Blooming Season* Repeat Flowering . More of Everything a Chokeberry Can ProvideUpright Red Chokeberry is a classic Chokeberry, but with improved features. Plant a few of these as a shrub boarder along your home, or in a wet location where other plants may falter. These are also outstanding in naturalized areas where they would be particularly useful to wildlife.Your Upright Red Chokeberry is most notable, not just for its superb features, but because it is simply “more” of everything. Compared to other Chokeberry varieties, Upright Red has more fall color, larger and more fruit and presents it all in a more compact nature. When spring arrives, your Upright Red will bring you clusters of dainty, flowers in various shades of pink and white. They’re a lovely accent amid the 3-inch long, dark green foliage with its grey-hued undersides. The leaves turn such a brilliant scarlet hue for autumn that your Upright Red has often been compared to the Burning Bush for its vibrant fall display. By late summer, the flowers transition to 3/8-inch berries. Each glossy, red fruit will be a welcome appearance to your yard’s wildlife, especially as they persist into the winter months for a much-needed treat (when other food options have been exhausted). The scarlet fruits tend to hang in abundant clusters amid the branches, like tiny ornaments decorating the tree for winter. The berries are tart, so often saved for jams and jellies rather than eaten fresh. Upright Red Chokeberry is a deciduous shrub and will grow to seven feet tall with a three foot spread. It is shade tolerant and does well in even heavier soils. You don’t have to prune it, but a little shaping is just fine if you prefer. It’s a hardy shrub, and low maintenance. For 4-season appeal, it’s hard to beat the Upright Red Chokeberry…and this variety is particularly exceptional. It has more of everything that the average Chokeberry provides, and does it all without asking for any special care or consideration. You just can’t go wrong with a shrub like Upright Red! * Four-season appeal * Spring and fall color * Fruit * Hardy * Wildlife appealHarvest Time for your Super Berries from the Aronia Plants. Clusters of RubiesThe Ruby Meidiland Rose, Rosa ‘MEIpreston’, is the most outstanding of the Meidiland series of landscape shrub roses.It is a low-mounding rose that which blooms profusely displaying small, double, deep ruby red blooms in abundant clusters.Ruby Meidiland Rose is very disease resistant. 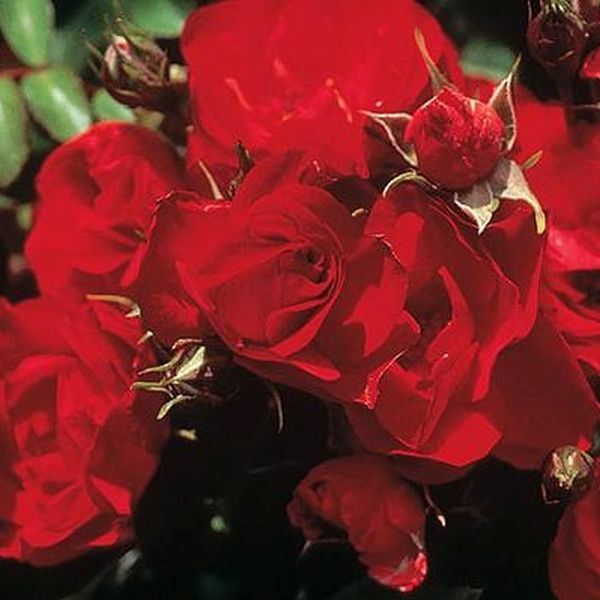 This rose generally does not need much pruning, but if pruning is needed, do it in late winter to early spring. *Blooms Profusely All Season*Disease Resistant*Low Mounding Growth. Black Raspberry with Exceptional Fruit and Lovely FlowersMunger Raspberry is a black raspberry plant with exceptional qualities. A long row of these along one side of your vegetable garden would create an impressive sight.Your Munger Raspberry is a wildly popular variety of black raspberry. In fact, it’s one of the top grown commercial varieties and highly valued for its outstanding flavor. Sweet and firm, the shiny, large berries produced by your Munger Raspberry are tasty right off the bush, but are also perfect for your homemade jams and jellies. Munger is a non-seedy variety of berry that will appear in abundance mid-season and is sure to lure you out to the garden each morning with its promise of delectable flavor.Munger Raspberry also produces enchanting flowers in the spring. Each delicate 5-peteled blossom is white with yellow anthers, a lovely spring display for your yard against its lively, green pinnate leaves. Butterflies will flock to your spring flowers, and of course the birds will come in for a tasty treat when the berries appear.Growing a Munger Raspberry is easy compared to many of the other varieties out there. You won’t have to worry about fungal diseases as much as with other raspberries because Munger is more resistant to it. It’s also cold tolerant and just generally a hardy raspberry plant. Munger Raspberry is a terrific choice of black raspberry plant for both the novice and expert gardener. Why not plant a few today for a sweet summer harvest! *Outstanding fruit*Lovely spring flowers*Hardy. A Cool Splash of ColorCool Splash Honeysuckle is a deciduous shrub with ornamental features. Plant several for a small hedge along your garage or use a couple as foundation plants. These are especially lovely in a naturalized area on a hillside or rough location that needs some definition. Your Cool Splash Honeysuckle will soon become one of your favorite shrubs for its exquisite, variegated foliage. The 4-inch, ovate leaves feature dark green centers surrounded by yellow-tinted, creamy white margins. It’s a lovely presence in any setting! Panicles of trumpet-shaped blooms appear in late spring/early summer, their brilliant yellow an elegant contrast against the showy red stems. Cool Splash will lend a lush, full appearance to your landscape, with foliage reaching all the way to the ground so no facer plants will be required. Cool Splash will grow up to 4 feet in height with an equal spread. It is densely-branched, with a rounded habit and arching nature. Cool Splash is low maintenance so won’t require much of your time or effort, but is amenable to pruning if you so desire. You can plant it almost anywhere, but you’ll have the best foliage color in full sun. It’s reasonably long lived, reaching an age of 20 years under optimal conditions.Your Cool Splash is aptly named as it’s a “cool splash” of color anywhere you place it in your yard. 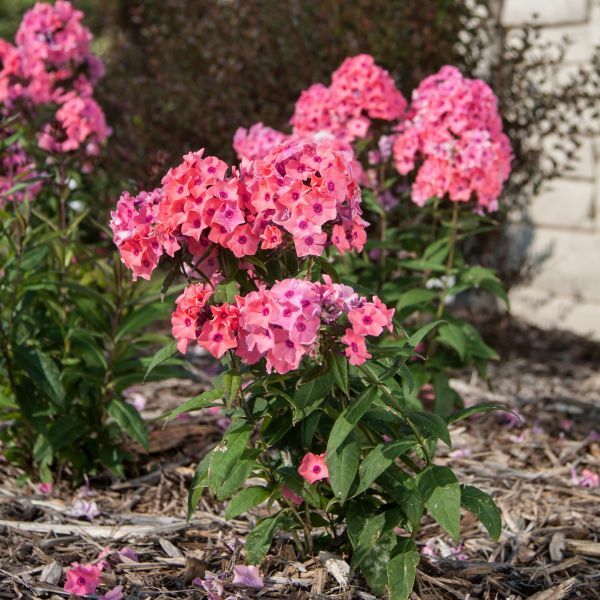 It’s a beautiful shrub with exceptional features that you won’t want to miss out on this year! 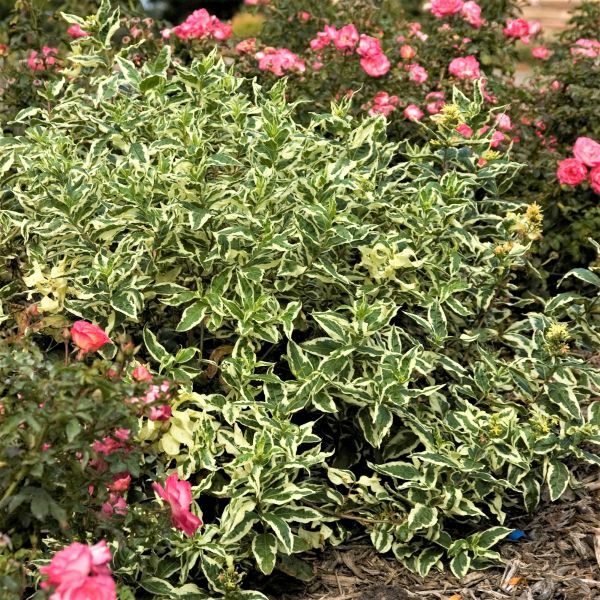 * Variegated foliage * Fragrant spring flowers * Adaptive to a variety of soils * Deer resistant * Long lived * Erosion tolerant * Works well in containers . Easy to Grow Classic Hosta is a Top SellerHosta Loyalist, Hosta ‘Loyalist’, is one of the best white centered hostas ever! 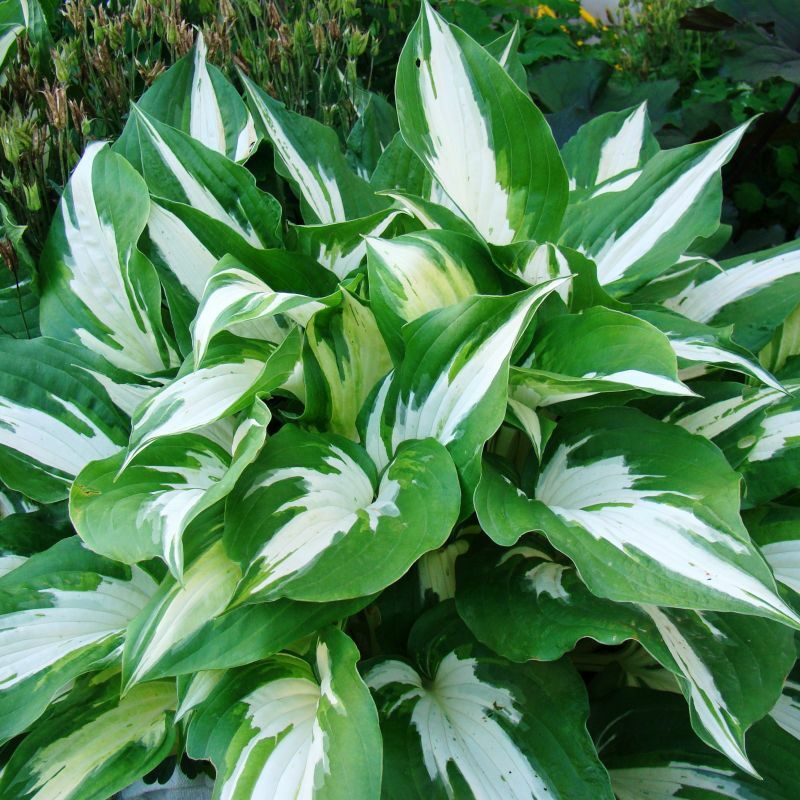 This reverse variegated sport of the famous Hosta ‘Patriot’ has dark green leaf margins which contrasts nicely with the nearly pure white centers. Hosta ‘Loyalist’ is a beautiful medium sized Hosta with heavy substance that will really brighten up any shady area. Lavender blooms appear in midsummer on creamy white stems. A show stopper, ‘Loyalist’ Hosta is long-lived, easy to care for and attractive from spring to frost.This low care perennial is ideal for shady positions. Hostas grow best in moist, well-drained, highly organic soils with a pH between 5.5 and 7.5. Sandy loam is better than clay because it provides more aeration for the roots.High-filtered or dappled sunlight is necessary for clean, healthy growth. Morning sun is tolerable and will help to intensify the leaf colors, but hot afternoon sun is usually deadly to hostas. They are most at home in shady, woodland settings and often work well as specimen or edging plants. * Dark Green Edges with White Centers* Lavender Blooms on White Stems* Shade Loving Compact PlantKeep Your Hosta Collection Healthy.